When it comes to altering, installing, or making any type of new connection with a natural gas line, it’s always a good idea to enlist the help of licensed gas fitters. Edmonton (and other cities in the province) has very strict regulations on who is authorized to service natural gas lines. These restrictions are in place to protect the safety of yourself and others. In addition to completing the gas line connection projects mentioned above, we also work on gas lines in commercial kitchens, restaurants, and other commercial properties. For your safety, our gas fitters have undergone all the necessary apprenticeship training and testing to become certified gas fitters in Edmonton. Let our experienced team ensure your natural gas line modification is performed safely — call us today to request our services in Edmonton, Spruce Grove, and throughout the surrounding areas. Our services are available to both residential and commercial properties. Here at Academy Mechanical, we strongly recommend that customers leave their Edmonton gas fitting needs to a professional. Gas fitting repairs and installations are extremely complex and can prove hazardous when performed by inexperienced property owners. When you find yourself in need of an installation or repair, give us call – we’ll help you save time and money. 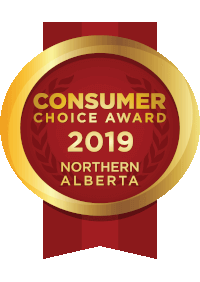 Academy Mechanical was awarded the Consumer Choice Award for boiler service and repair in 2011 through 2019. With this reputation, it’s clear that we offer services you can trust. Our technicians have been servicing the Edmonton area for more than 40 years! Gas fitting in Edmonton is a dangerous field, which is why we take great care to implement appropriate workplace safety guidelines. When you choose Academy Mechanical, you know you’ll receive services that will keep you safe. If you would like to learn more about our gas fitting services or are interested in making an appointment, please give us a call today at 780-438-1750 (Edmonton) or 780-962-6025 (Spruce Grove). Our technicians are ready and available to answer any questions you have. Remember, when it comes to gas fitting in Edmonton, you can never be too careful. Schedule your maintenance check with us and ensure the safety of your property.